You think Bill Lumbergh has your back? In a worker cooperative you're the boss, and so is everyone else. If you read my first post, you should have a good idea how a worker cooperative differs from other "more conventional" co-ops. In this post I'm going to explore a bit the differences between cooperatives and conventional businesses, a.k.a. private capitalist businesses. I'll talk about the benefits as well as the potential challenges. But first, I'd like to take a moment to introduce some nomenclature that I will throw around in this post. 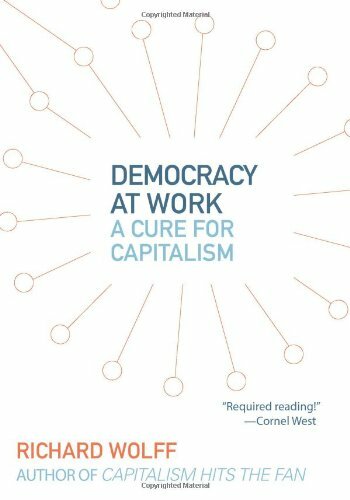 I recently finished a great book by economist and professor Richard D Wolff titled Democracy at Work: A Cure for Capitalism. In it he uses and perhaps even coins the phrase "Worker Self-Directed Enterprise" (WSDE) to effectively replace and encompass worker cooperatives. Although its not stated why in the book, I believe that this broadening of the term makes sense. The term, WSDE, doesn't necessarily restrict itself to the engrained principles already set forth by the cooperative movement. Not that these aren't good principles, but I believe they were not first written with "worker" cooperatives in mind. Take for instance the first principal; Voluntary and Open Membership. I found this one to be especially odd to conform to a worker cooperative model. It implies to me that anyone who wants to join your enterprise can just join, openly and voluntarily. In my research into worker cooperatives, I've read this to be justified by existing co-ops as meaning any employee who's not currently an owner is offered an "open and voluntary" path to becoming a worker-owner. However, the end of that path usually entails a vote by the existing members whether or not to accept the new member, and I've read that at some worker co-ops that vote must be as high as 90% in favor for that person to be welcomed as a member. So not really as "open" as it sounds. Another cooperative principle that I've gotten hung up on is number seven; Concern for Community. Again, in my research, I have taken this to really mean concern for local community. While I don't disagree and I do understand the sentiment, not every business consists of people that belong to shared local community. In this age of the internet, I believe that community has taken on new meaning and must encompasses those with shared interests and goals, not just shared coffee shops. So for now, I will use the terms worker cooperative and WSDE interchangeably on this blog, but I am open to the idea that a WSDE doesn't necessarily have to conform the definition and principles of a worker cooperative (but it's a good start). In other words, a worker co-op is a WSDE, but a WSDE doesn't necessarily have to be worker co-op. In a traditional investor-owned business, the only consideration that really matters is the accumulation of profit. This key difference affects everything about how the business operates, make decisions, and distributes its profits. When the workers own the business, many other considerations become relevant and it inherently changes how that business operates. 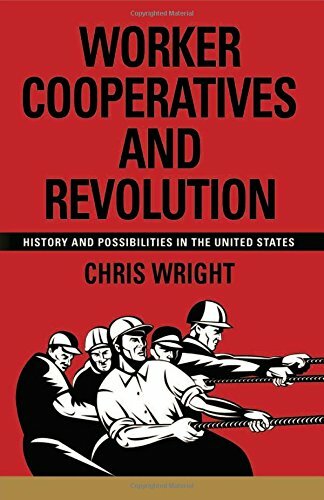 Some of the thoughts I explore here come directly from another good read called Worker Cooperatives and Revolution: History and Possibilities in the United States by Chris Wright. Worker-owners evaluate their success by looking at much more than the accumulation of profits. They can be described as having "multiple bottom lines" on which they gauge success. These may vary depending on the business but there is almost certainly a commitment to the well-being and happiness of their workers and the sustainability of the business. If opportunity exists for a private capital business to increase its profits by relocating its production over-seas, history has shown that they probably won't hesitate. However, its infinitely more unlikely that workers in a WSDE would choose to relocate their own jobs because profits are not the main or even the biggest factor in that decision. In traditional organizations, change tends to come only from the top, but at the top are people who usually don't learn of "errors" at the bottom. In addition, those at the top do not feel accountable to those at the bottom. In a worker cooperative, managers and directors have incentive to treat workers with respect and recognize their priorities. If they don't, they might be voted out of their position. This results in less conflict between workers and managers than at a conventional, hierarchical enterprise. Once a WSDE is self-sustainable and a surplus is available, worker-owners may decide to distribute those funds in the form of benefits. This could, of course, include the typical benefits offered by seemingly less and less corporations these days; health and dental insurance, 401k plans, etc. The big difference from a private capital enterprise is that the workers decide, not the investor-selected board of directors, what the benefits are based on what the company can afford and what's important to them. Some co-ops have created day-care facilities for their workers with children. Others cover all worker's mobile phone expenses. Others provide their workers with opportunities for continued education. Whatever it is, the bottom-line is that the workers get to decide democratically what those benefits are. Executives in private capitalist enterprises are increasingly paid staggering sums of money, while wages for the average worker have remained mostly stagnant since the 1970s despite a huge increase in productivity (thanks computers!). As you can see from the chart below, in 2013 the executive pay to average worker ratio was somewhere around 296:1. The dips you see after 2000 and 2007 are presumably the dot-com and housing crisis bubbles, but unchecked, these ratio increases see no sign of slowing down. Its a huge socioeconomic problem right now you might have heard about called economic inequality (its far worse than you think). I'll save my rant on that for perhaps another post, but at least within WSDEs, these huge pay ratios are kept under control. Most moderately sized worker cooperatives have a pay ratio that is somewhere around 4:1, meaning the top executive makes 4 times that of the lowest-paid worker. Smaller collectives (another name for a small worker co-op) operate at a 1:1 ratio; everyone is paid the same. At the largest worker cooperative in the wold, Mondragon Corporation in Spain, executive pay is capped at 8:1. An important distinction to take note of, the pay ratios in the chart above compare the executive pay to the average worker, not the lowest-paid worker like these figures for worker co-ops. If we were to use the same scale, the disparity in wages on the chart above would be significantly larger. So why is the pay ratio smaller in a WSDE? Because the workers within a WSDE have democratic control over wages. Often rules are set in place, by the worker-owners, to determine pay based on a number of factors; market rate, seniority in the company, etc. But even if there is a CEO in a WSDE, and there certainly can be, the worker-owners would probably never see it fair to pay him (or her) 296 times what they take home. And for the right kind of CEO, that wouldn't be an issue. Most of the unique challenges associated with a worker cooperative are actually just in starting one. First and foremost, we live in a society and an economy that understands private capitalism but not much else. That climate is slowly changing. With increasing economic inequality and unemployment rates still high (but falling), people are looking for alternatives to your typical business. Existing worker cooperatives are also working hard to educate the public on the benefits and potential of co-ops. The fact that this movement is gaining traction in places like New York, Madison, and Cleveland is evidence to that fact. Starting a WSDE can be a risky endeavor for its founding members, but nothing worth doing is ever easy. Despite these efforts there is still a lack of awareness, therefore gathering a group of interested, capable, like-minded and well informed people may be a challenge. The ideal person would probably be a worker who places a high value on job security as well as someone who's able to willing to invest (whether by money or sweat equity or both) and accept some risk. Remember, because the workers own the business, they not only profit from its success but are also responsible for its losses. Therefore, risk-tolerant people would be best suited to forming a WSDE and such people are relatively rare. To be clear, at most, a member's equity investment and any profit accumulated in their capital accounts is at risk. They are not personally responsible for any debts. Once this group is formed, the founding members of the WSDE, the next hurdle may be securing some start up capital. Typically, outside investors expect to receive ownership and voting rights based on the amount of capital they invest in the business but in a worker co-op, only the worker-owners have that privilege. There is a legal mechanism in which a WSDE can still have outside investors but they would need to be placed in a subclass of "investor members" who are not allowed to participate in the WSDE's business activities. Obviously this is an issue in when trying to attract outside investors who are used to having at least some control and ownership over their investments. The good news is, there are a lot of other ways to raise capital and there are more and more organizations out there, some funded by existing worker cooperatives, to help new cooperatives. In a later post I'll get into more about raising capital because its a complex issue and there are a lot of options. In my next post I will outline the basic steps required to start a WSDE. I won't go into a huge amount of detail because there's a wealth of information readily available on the internet but I will provide some resources for further study. I want to leave you a couple great videos in which Bill Moyers (Moyers & Company) interviews with Richard Wolff. He's the guy that wrote the Democracy at Work book I mentioned at the beginning of this post. In part 1, Richard does a fantastic of explaining why a fundamental change to our economic system is needed and touches on how WSDEs could be a big part of transforming our economic system for the better. In part 2, Richard returns to answer some viewer questions and delves a bit deeper into WSDEs. Enjoy and let me know what you think in the comments. All titles, content, company names, trademarks, artwork, and associated imagery are trademarks and/or copyright material of their respective owners. All rights reserved.